When it comes to investment avenues, NRIs are considered to be opportunists. Real estate industry is one of the profitable sectors which they mostly focus on as it offers attractive returns and there is no dearth of investment options. In terms of loan applications, NRIs find it easy to get home loans as financial institutions in most cases do not face any troubles when it comes to repayment. 1. A financial institution approves around 80% of loan amount, while the remaining amount is borne by the NRI. Your income and educational qualification plays an important role in determining how much amount of loan will be offered to you. You need to be at least a graduate and your income eligibility is calculated taking into account the repatriable income (income abroad) plus income in India. Loan tenure for NRIs is limited that is within the range of 5-15 years. However, if you wish to extend the loan repayment term then it is depends on the rules of banks, but it may be extended only is some cases. Just like a resident of India is required to shell our registration and stamp duty money, similarly the rule is applicable for NRIs as well. He is entitled to avail all sorts of benefits at par with Indian residents on the interest paid for the home loan. However, the tax process becomes full of twists if the property is leased. To submit documents for home loan, NRIs do not need to make their trips to India. Some banks do offer online facility for document submission. However, you would require help of a General Power of Attorney in favor of a resident Indian who would act on your behalf with the bank. 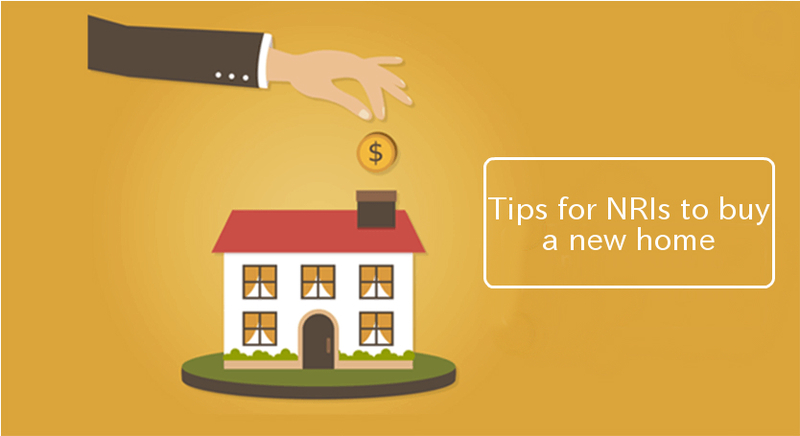 To authenticate a property, NRIs are required to verify property through proper mediums. You can either consult your friend or a real estate agent. If you’re an NRI looking to buy a new home in Navi Mumbai, then get in touch with us. We are the leading property consultants in Navi Mumbai. This entry was posted in Investment Advisory, Property Investment and tagged Buy a new home, investment avenues, Non-resident External, NRi's, repatriable income, Tenure of loans, Tips for NRI's on September 1, 2017 by akshay.